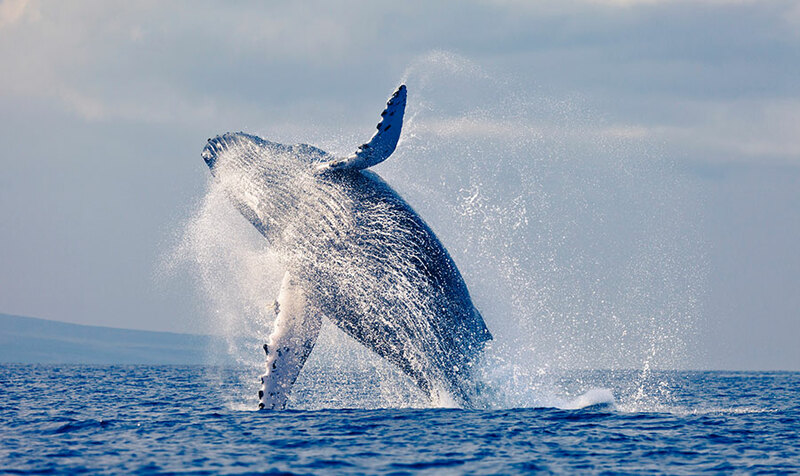 Currently the planet’s largest animals, whales inhabit a world of serene waters and unbelievable journeys. Every March groups of Gray whales (known as pods) travel north along the California coast, completing the second half of their 14,000-mile, year long voyage – quite likely the longest migration pattern of any mammal. But on this return trip, these are more than just whales – they’re proud parents heading back to their Arctic feeding grounds for the summer after calving in the warm waters of Baja California. So chances are you’ll see both adult and baby whales. Both the Monterey Bay Inn and the Spindrift Inn are ocean front – with perfect seats (binoculars included) for watching the whales go by. The Monterey Bay National Marine Sanctuary (MBNMS) is part of a federally protected marine area offshore of California's central coast. Stretching from Marin to Cambria, the MBNMS encompasses a shoreline length of 276 miles and 6,094 square miles of ocean. Supporting one of the world's most diverse marine ecosystems, it is home to numerous mammals, seabirds, fishes, invertebrates and plants in a remarkably productive coastal environment. The bay also offers a protected stopping for tired whales and calves during their long journey. Its part of Monterey’s magic!